Outstanding condition for this move-in ready END-UNIT Condo with attached Garage and Driveway parking for 2 cars + adjacent guest parking! 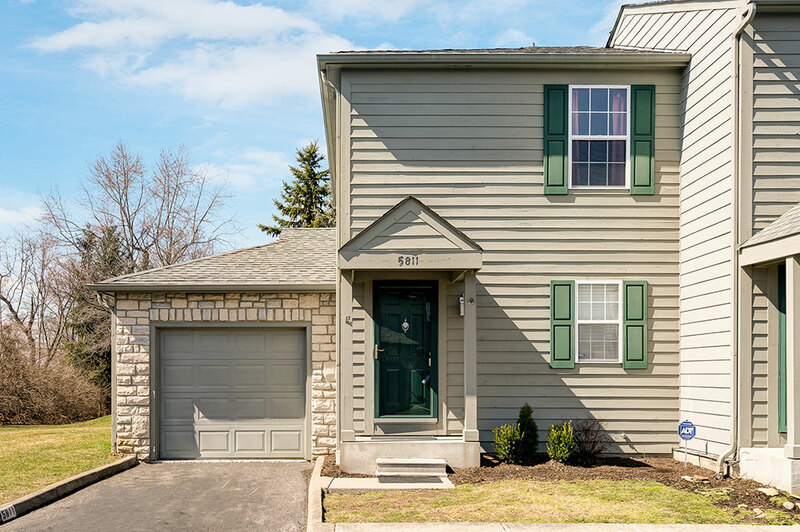 This pristine condo has been freshly painted and features updated flooring including brand new carpeting through both bedrooms and versatile finished rec room in basement with extra insulation. Buyer bonus includes washer/dryer to remain! Enjoy brand NEW kitchen appliances (March 2019) in this efficient, bright white kitchen! Enjoy a comfortable, open concept floor plan that features the eating space open to the living room with Gas Log fireplace and mantel. Sliding doors bring in natural light and offer access to the green space behind and next to the condo. NEW A/C! Blendon Park offers a fabulous summer pool, Club House & Gym! Proximity to amenities!